I brought up that theory the day after its announcement. I no longer think this is a possibility do to technical things JB and BMD has said as well as the pictures of the camera. Well I thought it was the same full 2.5k sensor with a HD size blocked out. It could explain why the sensor is mounted strangely. Obviously the HD section would have to have all good pixels though. If this isn't true why not just give us the full sensor? 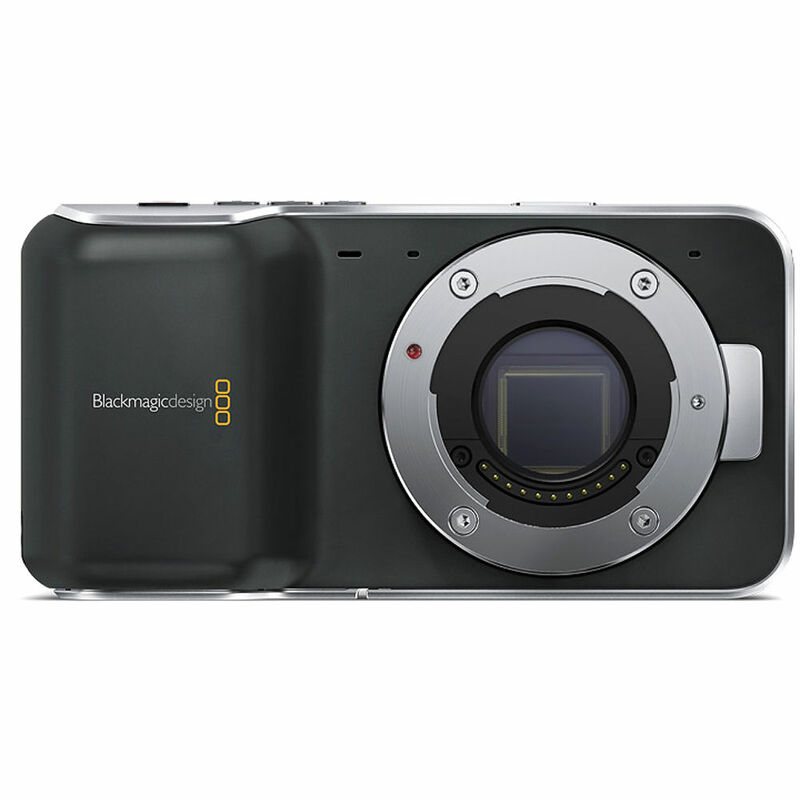 If they'll provided full sensor sales of original BMCC will drop sharply. it's already been talked about. For starters the sensor issue was the glass cover bonding process. The little bit of glass over the sensor is dirty. So it would still be dirty on a pocket camera or a BMCC. If you look really closely at the sensor, you'll notice that although it APPEARS to be the same size as the BMCC , there is a small 16x9 cutout centred on the lens. The sensors are on the same size PCB 'package, but the sensor is actually a different sensor,. They aren't interchangeable between the cameras. That's part of it, but I'm sure it has more to do with over heating since it's in a smaller body with no fan. Is the youtube footage real or some people just making a fake pocket video? Who knows, I asked if they did a unboxing video but no response. @double_vision yeah that is a possibility too.... we'll find out soon enough? I think everyone is going to be quite surprised at how nice the lumix lenses are going to pair up with the BMPCC. I never use them with my GH cameras when I'm going for a cinematic look, only my Nikons, but from what I've seen in John Brawley's footage I think this is where the sharpness of the lumix lenses will payoff. The pocket cam doesn't have the internal processing like the GH and therefore will not yield that over sharpened video look that you get with lumix lenses on the GH. I also think distortion correction will not be that big of an issue either since the smaller sensor is taking more from the center of the lens. The guy that posted the youtube video says he bought a used one, so that's why he didn't do a unboxing video. @chaos123x Who'd he buy it from John Brawley?? The guy is full of BS. @trumpetman I absolutely agree about the lumix lenses. I think once you have a decent dynamic range you really want sharp images that 'cut through the dynamic range'. I think with DSLRs people have been using soft lens as a preference to take the edge off contrasty images. I always remember reading that Ridley Scott insisted on very razor sharp images, soft doesn't equal cinematic. I attached a crappy image from my iPad to make a point. This lens is tiny, almost like it was built by BM for the Pocketcam. I bought the 14-42mm mk2 recently and couldn't believe how small it was. Don't know if they are legit or not though. Also found another place that says its in stock. I'm not going to risk it though, sticking to my B&H preorder. "Dicahub reports that the EF-M43 Speed Booster will be released in August. EF-M43 will have electronic contacts. This is good news because MFT will get access to the largest lens range of the world. Now Canon gear owners can sue their Full Frame lenses on MFT cameras gaining 1 stop of speed!" Tokina 11-16mm for all your wide angle needs. Isn't the Tokina a APS-C lens? @Chaos123x on the Micro Four Thirds version of the Speed Booster you can use APS-C glass as well as Full Frame because the lenses are much bigger then the sensor unlike the Sony version where it has the same sensor size so can only accept Full Frame. I really don't believe the BMPCC's sensor is purely 1080p. It must be a higher resolution sensor that is being dumbed down internally by the camera itself. @Gh2_fan it looks more like the bmmc sensor with a 1080 window cut out. But people say its a totally different chip. I wonder if Vitaliy is planning on seeing how this thing works, not sure if its worth hacking though. This may not be the topic to continue the conversation, if it's wrong you guys feel free to remove it. It does pertain to the pocket camera as it should look pretty similar to BV1, I'm expecting (and so are a few others) my half-assed amateur LUT to be usable with BPC footage. In regards to the blue hue, etc. Here are some stills from this past weekend, shooting BV1-MFT, Cooke S4 Mini/Hot Rod PL, and ISO400/800 (this matters only because 200 and 1600 are not just metadata). The camera does have a fair amount of specific qualities, some that I'm actually not going to try and balance any further because I think user should have the option, but as far as your first concern with the image, blue cast, it is (of course durrrr) in how the camera is handled from start to finish. I'm still learning every single time I go out... The big thing for me is not exposing to the right, or not to any extremes. In just a moment here I'm going to post the nodes in Resolve. More stills over at the other forum, in the thread I linked too earlier.